A collection of prayers and blessings from the official “Book of Blessings” of the Latin Rite, selected for use in the home. 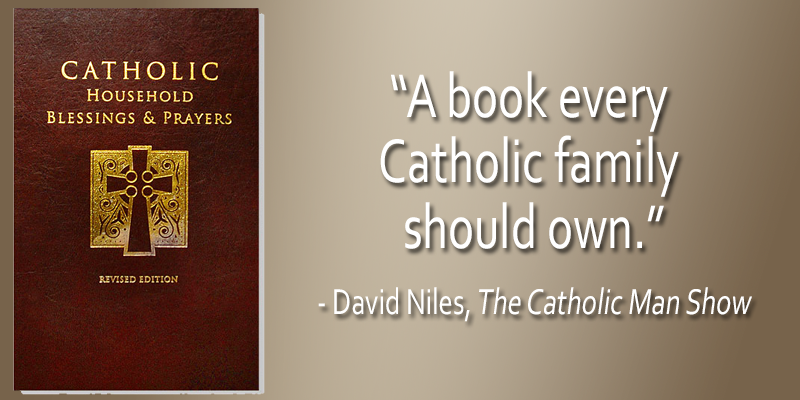 It is the perfect resource for parents and children to explore the rich treasury of the Catholic tradition of prayer. This revised edition includes: Basic Prayers, Daily Prayers, Days and Seasons, Family Prayers from Birth to Death, Prayers for Catholic Living, Prayers for the Church and the World, Litanies, God’s Word in Times of Need, Stations of the Cross and a Calendar of the Saints. Beautifully bound, dark brown hardcover. 502 pages.